We followed Peter Paul from The Princess Bride to this farce by Blake Edwards. 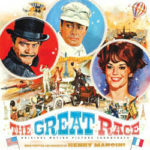 The Great Race stars Falk, Natalie Wood, Tony Curtis, Jack Lemmon, and Keenan Wynn as they race across the world. Along the way, they get into a bar fight, escape a polar bear, and meet up with another version of Jack Lemmon! Our newbie for this film is…Melissa! Hard to believe there are any films she hasn’t seen but this was one of them. Join us for the silliness! Up next, we are going to take another road trip with Mad Max: Fury Road! 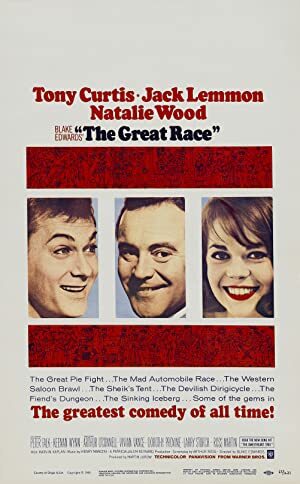 Plot: In the early 20th century, two rivals, the heroic Leslie and the despicable Professor Fate, engage in an epic automobile race from New York to Paris.